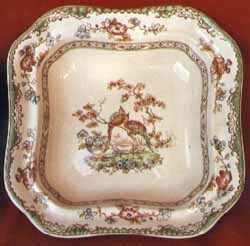 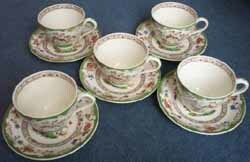 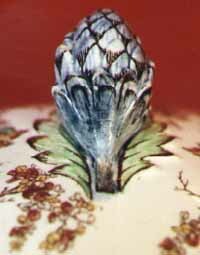 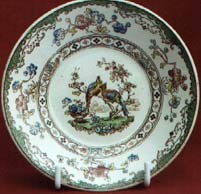 The S1393 pattern number is sometimes incorporated into the Spode backstamp, with or without the word EDEN. 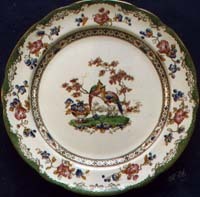 In the early years two distinct glaze colours were used: CROWN (white background) and IMPERIAL (off-white background). 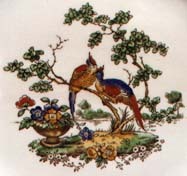 The S2655 number is usually handpainted in small red or green letters. 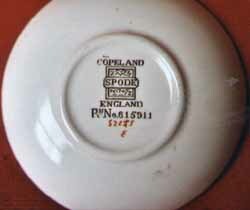 After 1952 the shape and design of items changed slightly and the backstamp becomes simply SPODE in black gothic letters, with the word ENGLAND below. 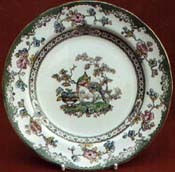 As not all items are marked with pattern names, Eden can be recognised by the red and yellow colouring on the leaves of the tree - items also have a green rim, whereas Bridal Veil has an ochre rim. 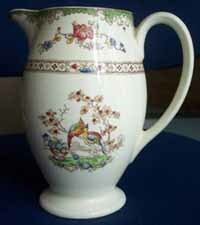 All the items shown below are Eden. 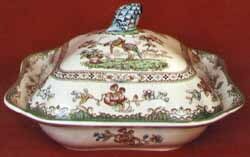 Please Click Here to view Bridal Veil items. 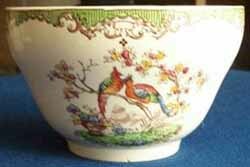 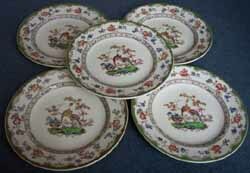 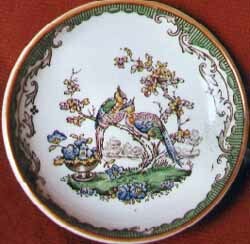 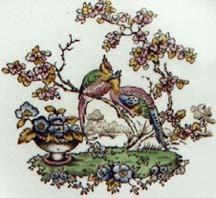 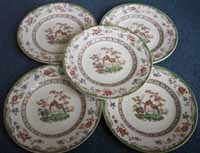 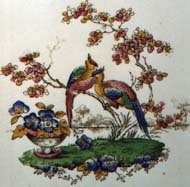 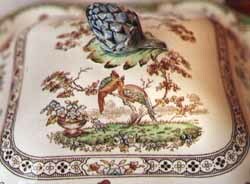 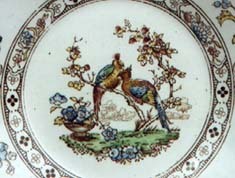 See also Chelsea - another similar SPODE pattern featuring two birds.